Godden Allen Lawn is a broad-based practice, with clients ranging from housebuyers to commercial landlords, but it is our work with the Battle of Britain Memorial Trust that has caught the public’s attention and seen us pick up an impressive set of awards. Our most recent success came in the Kent Design and Development Awards, when we were doubly rewarded for the new Wing building at the Battle of Britain Memorial at Capel-le-Ferne, just outside Folkestone. 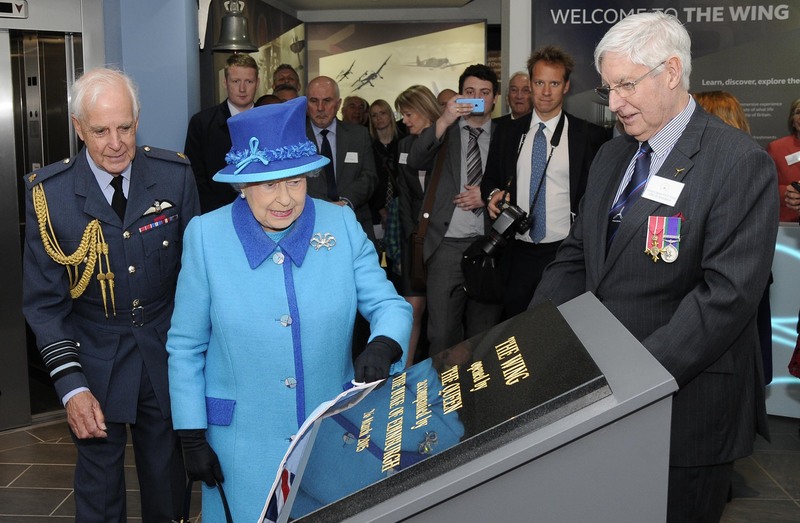 Her Majesty The Queen opens The Wing. We were delighted when The Wing came top in the the Commercial, Industrial and Retail category, and even more pleased when the expert audience went on to choose the Spitfire wing-shaped building as Project of the Year. The overall award was particularly pleasing, as the voting audience consisted of representatives of architectural practices, civil and structural engineers and similar businesses that were there because one or more of their projects had been nominated for an award. In effect we were being judged by our peers – and we came out on top.